What happened to Iraq's economy post-US invasion? 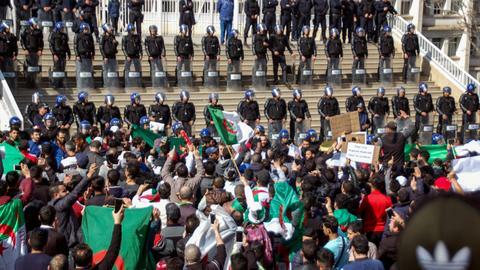 Angry young Algerians are threatening not to vote, which could undermine this week's parliamentary elections and the country's facade of democracy. But others push for a strong opposition in parliament to closely monitor the ruling party. A country without a president. An election without voters. A national oil company losing control of the country's oil. Nothing in Algeria is what it seems, but everyone seems to understand how things work. On Thursday the country is holding its legislative elections, and from it a new government will be formed and a prime minister will be chosen. For many, the only thing these elections represent is the democratic facade of a generation of oligarchs which has monopolised power since independence in the 1960s. After historically low voter turnouts at the last two legislative elections, 43 percent in 2012 and 35 percent in 2007, the government has campaigned forcefully to get people to the polls for the last four months. 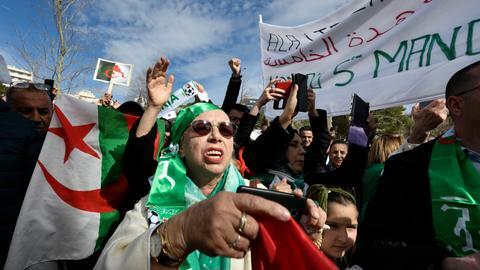 As a sign of the desperation to get people to vote, this week the Prime Minister Abdelmalek Sellal called on the women of Algeria to "drag" their husbands to the polls and "hit them with a stick" if they refuse to vote. However, all this work is now being undermined by a 27-year-old YouTube sensation by the name of Dz Joker. Joker, whose real name is Chemseddine Lamrani, released a video last week titled "Mansotich" or "I'm not voting," a fiery critique of Algeria's political class and their failure to respond to the people's woes. Or, as one columnist put it, "an Algeria of profiteers, sycophants, rentiers, the clowns in the president's inner circle, privileged Club des Pins", the latter referring to the sprawling compound housing most of the country's top generals and political elite, and has become a symbol of the oligarchy in the eyes of many more modest citizens. The video has already been watched more than three million times, and has become an overnight anthem for young disillusioned and angry Algerians. Many have taken to social media saying they aren't voting on Thursday either. It's a movement that could gain traction with even those youth who did intend to vote, given 70 percent of the country's population is under 30. But what Lamrani said in the video isn't a revelation. He was merely voicing what many of his countrymen already believed. "You have to know in Algeria people don't care about elections, the majority of people just don't show up," said Massinissa Benlakehal, a freelance journalist based in Tunisia. "We have a joke we use in Algeria that goes: when an MP is voted in, his mandate for the first five years is to work for himself, and maybe, if he wins another term, he'll work for the people." Voter turnout used to be high when the ruling party, the National Liberation Front (FLN), was the only contender. Now there were more parties weaved in the political fabric, Benlakehal said the FLN could no longer inflate the voter turnout as easily. It's still a rigged system, he said, and no one is fooled by it. "There is no direct link between elections and real changes to people's lives," he said. Our parliament is a silent thing. It doesn't affect anything. It's just there. We need to have one, so we have one. There's a reason the prime minister is now urging people to come out and vote. The confidence the FLN once held going into elections is beginning to fade, and it all has to do with oil. A lot of problems in Algeria come back to the price of oil, which has been in rapid decline since 2008. In 2011 the International Monetary Fund warned the government needed to ease its reliance on petrol and gas exports, which make up 95 percent of exports, and 60 percent of the country's GDP. The last time the country faced a major energy crisis was in 1986, when falling oil prices triggered a recession and plunged Algeria into severe debt. The events triggered a string of revolts and forced the country to legalise opposition parties and hold real elections for the first time. 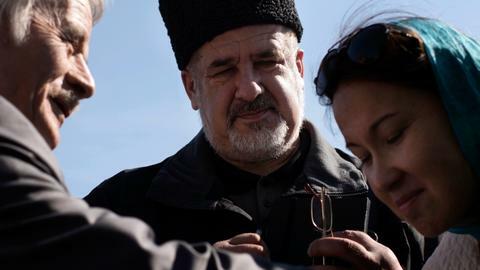 With religious conservatives set to sweep the 1992 parliamentary elections, however, the military stepped in and a devastating decade-long civil war ensued. Subsequent elections have been rigged to guarantee the FLN's dominance. Now with its economic lifeline in limbo once again, the government's reliance on financial incentives in exchange for muted support is under stress. Before, Benlakehal said, it wasn't uncommon to see a local FLN representative handing out cash on the morning of a big vote. "The FLN used to have a lot of money they used, hand-to-hand in the local dialect, to make sure they get their vote." "But now that there are people shouting out about corruption, they've had to lower their profile. We didn't use to talk about it, but now we are, so they have to be careful." What has prompted this backlash is the crippling effect the plummeting oil price had on the rest of the economy, and on the government's ability to keep providing subsidies for housing, education and healthcare. President Abdelaziz Bouteflika ushered in a "social contract" when he was brought to power with the backing of the generals in 1999 following the civil war. The "social contract" allowed Algerians, who were traumatised by the violence and insecurity the war had caused, to see the fruits of their country's bountiful natural resources. It also defused any real political challenges the FLN faced so long as they could still provide. That contract was now wearing thin, with harsh austerity measures having a real impact on people's lives, pushing up the price of basic foods beyond the reach of those with low wages. 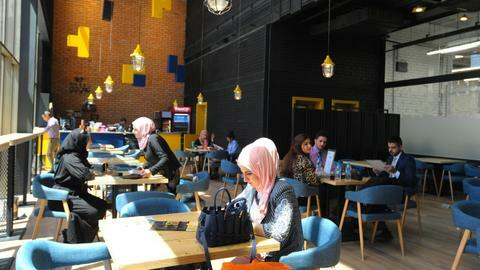 Of the 28 million youth, nearly a third are now unemployed and facing grim prospects for their future. As a result, they were beginning to dream beyond their nation's borders. "It's very desperate," said Mohamed Zitout, a former Algerian diplomat and human rights advocate who now resides in London. "There are photos now of people taking their children and putting them on boats to leave for Spain or Italy." Like their displaced neighbours in Libya, young Algerians are looking across to Europe as a last ditch effort for a new life, and willing to risk their lives crossing the Mediterranean to reach it. When rumours began to spread that Russia would remove visa requirements for Algerians in time for the 2018 FIFA World Cup, many saw it as an opportunity. 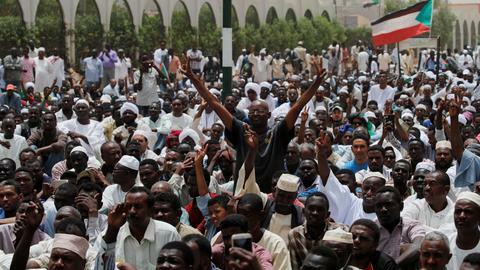 There was hysteria in Algeria because hundreds of thousands were wanting to leave. As the population of youth grows, so too does their detachment from a ruling elite two generations removed, and with whom they did not sign a social contract. The fiery ideals of independence and nationalisation on which the FLN fought against French colonial rule in the 1950s ring hollow with those born half-a-century later, who view the ruling elite as having hijacked the fruits of independence for individual gain. "The regime couldn't make things better when the oil price was high," Zitout said. "If you couldn't do that when you've got all this money, then you definitely can't do it now with no revenue and instability and the ageing ruling class and people complaining about housing." One party which is hoping the country's youth will turn up to vote is the Socialist Forces Front, or FFS, Algeria's oldest opposition party. Rachid Chaibi, a member of the national bureau for the party's electoral campaign, said while the centre-left party is well aware that the system is rigged, they believe it is important for genuine opposition voices to have a presence in the parliament. "We respect their [those calling for a boycott] point of view, after all we are the party that has boycotted the most elections. We believe, however, that at this point in time, the issues are too important not to vote." 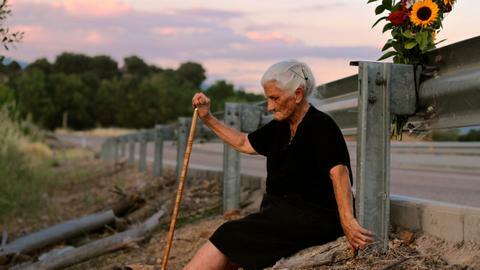 The FFS has been one of the most outspoken voices against austerity measures, condemning the controversial Finance Law when it was pushed through in late 2015, along with other unpopular legislation. Chaibi doesn't pretend his party can bring sweeping changes through the legislative system, but believes in the need for critical voices. "We might not be able to do much concretely in the parliament [as an opposition party], but at least we will be able to give Algerians a voice, and to denounce laws that go against the interests of the Algerian people." Perhaps the biggest elephant in the room is the whereabouts of the president. 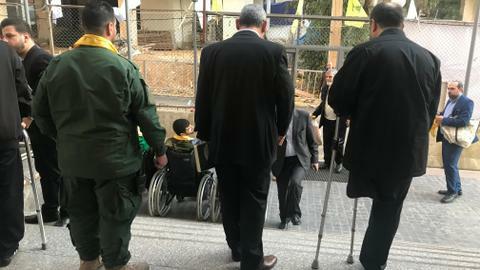 After suffering a near-fatal stroke in 2013, Bouteflika's health has kept him away from public life, and off the campaign trail for his own re-election a year later. Despite the constant reassurances from the prime minister, many are beginning to question whether the 80-year-old leader is still the one making decisions. In February, his administration abruptly cancelled a state visit from German Chancellor Angela Merkel, citing acute bronchitis. Last month, a video of Bouteflika sitting alongside the minister for Arab and African affairs was aired briefly on television, likely in an attempt to quash the rumours he is no longer even alive. In their final rallies over the weekend, FLN officials screened old speeches by Bouteflika, as if paying homage to a deceased leader. Massinissa Benlakehal said he didn't want to speak on record about what he thought was going on in the halls of power, but he said it was casting a dark shadow in the minds of Algerians. "They have a blurred image of where the country is headed. You first need to know who the captain is before you know where he is going," he said. "They see someone, but for sure it's not him." But others, like Zitout, were more direct. "Once [Bouteflika] lost control of his health, he lost control of his power. Now who's really holding power is his brother, and behind his brother are the generals. Don't look at the prime minister or other government officials, they don't have real power." This uncertainty about just who is at the helm is casting doubt on all the decisions the government is making — like what it will do with the country's crown jewel, the national hydrocarbons company Sonotrach. Pressured by the need to deliver oil revenue, and plagued by corruption scandals which left the company with seven CEOs in the last seven years, the government last year began to relax restrictions on foreign drilling companies. Now Exxon Mobil Corp, Anadarko, Italy's Eni and Norway's Statoil are in talks with the company to begin offshore explorations. Zitout said those were signs the government is heading down the path to privatisation, and that Sonotrach will soon be on the chopping block. A move that would send shockwaves through the country if made public. The hard-fought and bloody battle to wrestle the national oil reserves from the grips of colonial France was integral to Algeria's liberation and sense of nationhood. 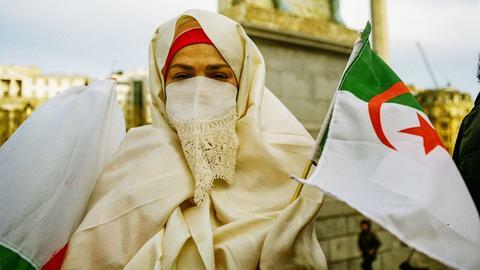 To abandon those aspirations now would be perceived extremely negatively by most Algerian citizens, but that is the tightrope the FLN seems to now be walking. "They are already doing that, but not openly. They are taking services usually done by Sonotrach and giving it to other companies." He said warm relations between Algeria and the new US administration were also a signal the superpower wants in. The Trump administration wants oil money, and Algeria is there. They [the Algerian authorities] won't make it openly because they fear the reaction from the people. The FFS's Rachid Chaibi agrees that there is "absolutely a very real risk" that Sonatrach might be sold off in the near future. He cites articles in both the 2015 Finance Law and the 2016 Energy Law that took a step in this direction. "There is a big risk that Sonatrach, along with other public enterprises, will be opened to foreign investors and multinational companies. This is why it is so important that the FFS has a presence in the parliament, to keep a close eye on any legislation being pushed through." It's against the backdrop of this brewing storm of anger and uncertainty that Thursday's election will be held. It is one thing to hold a vote, even a facade of a vote for the sake of "Western powers," as Zitout put it, but it is another thing entirely to get people to come to the ballot. 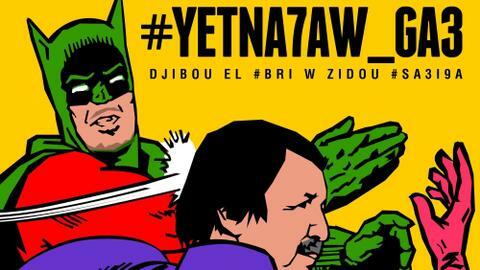 What young Algerians like Dz Joker, and those who agree with his message, are beginning to realise is that while they feel helpless to change a corrupt political system failing to cater to their needs, they also no longer have to participate in it. By refusing to vote despite desperate pleas from the prime minister and the FLN, they're giving birth to a symbolic idea that could threaten to undermine Bouteflika's 20 year rule — whether or not he's still alive. The challenge then faced by genuine reformists is to convince the same youth that their votes are needed, and that there is still a future they can be a part of.